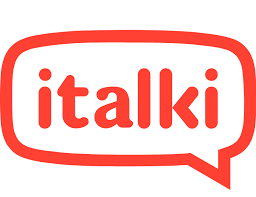 This italki review takes an honest and open look at a service that is becoming increasingly popular with learners of all levels. italki is an online learning platform that brings together teachers and students on an individual basis. italki is an online learning platform, not only for English, but for any language that the teachers offer. There are two types of teachers, namely professional teacher and community tutor. Anyone who speaks a language at a high level can be a community tutor, but there are requirements for being accepted as a professional teacher. Professional teachers need to show evidence of suitable qualifications and experience. After a week or so, they come back with an answer, having evaluated all the factors. This is important, as it ensures that the professional teachers can provide the required quality. 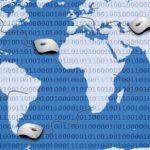 As a student, you configure the language(s) that you want to learn. You can search for teachers for your required language. The lessons and prices are listed and you get in touch with the teacher and arrange a lesson. The teachers’ availability is also listed, which saves a lot of time. Professional teachers are required to make an introductory video and most community tutors also do this. You can view the video and get an idea of what the teacher is like, how they talk, if they are easy to understand, etc and make a judgement of their suitability for your needs. Feedback is also viewable, so you can see what previous students thought, both good and bad. Once you’ve decided on a time, remember to turn up. Enjoy the lesson and feel free to give your own feedback. As a teacher, you define your courses, prices and availability. A good profile will perform better than a mediocre one, so take the time to set it up properly. This deserves a special mention. There are lots of really useful areas under the community flag. The usual suspects are here: discussion forums, questions, blogs, articles. You can filter them all by language. The thing that stands out for me though, is the Language Partners feature. Basically, you team up with a native speaker of a language that you’re learning, who in turn, is learning your native language. This enables you to get free language practice by helping a fellow learner – cool, huh? More teachers, with more languages, are registering on italki on a daily basis, which increases the choice for the student. As a teacher, the option to teach from the comfort of your own home is very tempting – no travel time at all. Both benefit from the active community. The price is set by the individual teacher and the search function allows you to choose several different price bands. At the time of writing, the range is $8 to $80. Community tutors are generally cheaper than professional teachers. Depending on your needs, this could be sufficient. I hope you found this italki review informative. I think that italki is an interesting service. Click the image to access the site and start learning. Looking at the feedback for various teachers and languages, I really get the impression that people not only use the site, but also find it enjoyable and valuable. Have you used italki? I would love to hear of your experience.